Bugs and Fishes by Lupin: Signed Copies of My Books - Last Few Available! 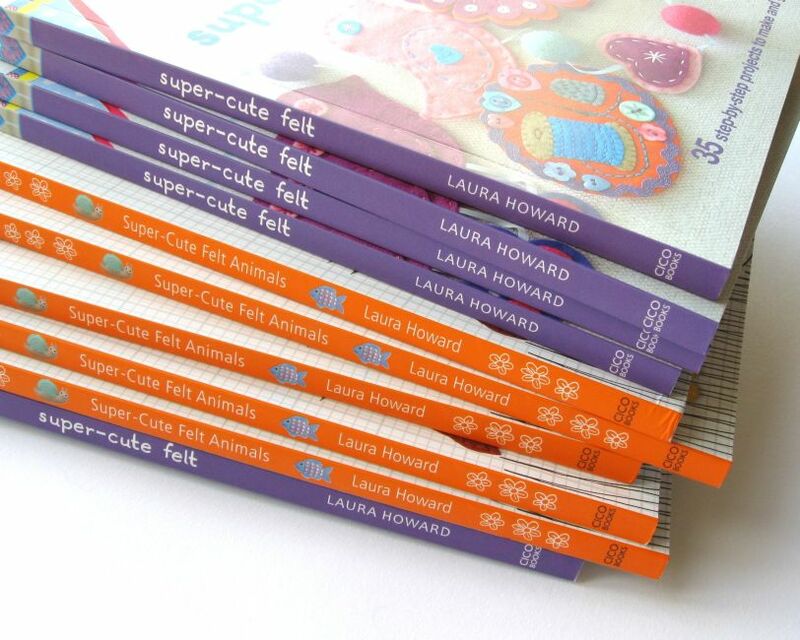 I'm down to the last few copies of my books - Super-Cute Felt & Super-Cute Felt Animals. Obviously you'll still be able to buy copies from "all good bookshops" but if you want to buy a signed copy direct from me now's your last chance to grab one as I'm not planning on getting more in stock. The remaining copies are available at bargain prices - just £8.50, or £7.50 if the copy has some slight damage (see the individual listings for details). You can find them in my shop, HERE and you can read more about the books and get a peek at some of the projects HERE.